GERMANY: Chinese developer China Three Gorges (CTG) has acquired a majority interest in German company WindMW -- the development company behind the 288MW Meerwind Sud/Ost project. CTG has acquired the 80% stake in WindMW owned by US private-equity firm Blackstone for an undisclosed fee. 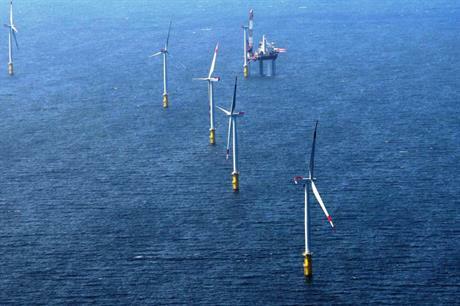 The 288MW Meerwind Süd/Ost project in Germany's North Sea was completed in 2015. It comprises 80 Siemens 3.6MW turbines. The WindMW management team, led by CEO Jens Assheuer, will remain in place operating the project under the new ownership of CTG, Blackstone said. "I am grateful to have partnered with the Blackstone team to make possible such a significant contribution to Germany's clean power efforts," said Assheuer. WindMW shares the ambition of CTG to develop renewable energy projects worldwide, Assheuer added. The agreement was signed on a visit by German chancellor Anglela Merkel to China. CTG has taken some big steps recently in the European offshore market. In October, it entered in to an investment cooperation agreement with EDP Renovaveis to acquire a 30% stake in the 1.1GW Moray Firth offshore wind project in Scotland. Blackstone still has some interest in offshore wind. It is the majority owner of OffshoreMW. In 2015, the developer won rights to develop areas of the New Jersey and Massachusetts offshore zones in the US.